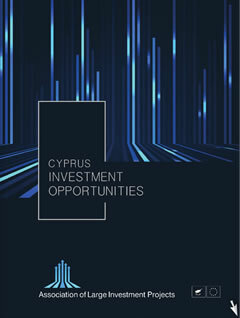 The project is conveniently situated in a triangle between Nicosia, Limassol and Larnaca and easily accessible by 70% of the population within 10-30 minute driving time. The location is just off the highway bordered by an excellent road network. Neighbouring facilities include Larnaca city centre, an International Shooting Range, UCLan Cyprus University and the New International Airport. Future projects will include the Larnaca PGA Golf Resort and Country club and the Med Marina Development. The Sports City is not only destined to place Cyprus on the world sports map, it has a lot more to offer to the local and International market. With approximately 360 days of sunshine, Cyprus is the ideal location for professional athletes from abroad wishing to take advantage of the good weather for training and coaching purposes; with the new International Airport in Larnaca in close proximity. This project has been designed with the aim of securing maximum output in the sports, health, leisure and entertainment sectors. The town planning permit has been acquired and the building permit has been submitted. This exclusive destination is inspired by sports, health, leisure and entertainment. The project will incorporate a Club House which will serve a dual purpose, firstly accommodating members and secondly on a social level, accommodating non-members, residents and guests. The club house will be divided into various sections to include an indoor swimming pool, pro shop and sports lounge. An extensive gymnasium will include a variety of fitness and wellness options – aerobics, body building, fitness, personal training, strength fitness, radical fitness, pilates, nutrition and physiotherapy. An exclusive dance studio will accommodated martial arts and dance classes. The Sports City will feature various courts to accommodate football, basketball, volleyball, handball, archery, tennis as well as an athletics track for various sporting activities. An exclusive feature of this project will be the 50m Olympic size swimming pool, the golf driving range and unique to Cyprus, rock climbing facilities and a bicycle track. The residential component of the Sports city will include studios for the athletes and guests alike as well as apartments. Phase 2 of the project will incorporate a Rehabilitation Centre within The Sports City, which is unique to Cyprus and will offer an extensive range of services in a modern, peaceful and relaxing environment, where patients and athletes can regain their heath under optimal conditions. The strategic positioning of the Rehabilitation Centre will allow patients access to all the amenities within The Sports Centre as well as provide logging for the athletes, patients and their families. © 2018 Association of Large Investment Projects.